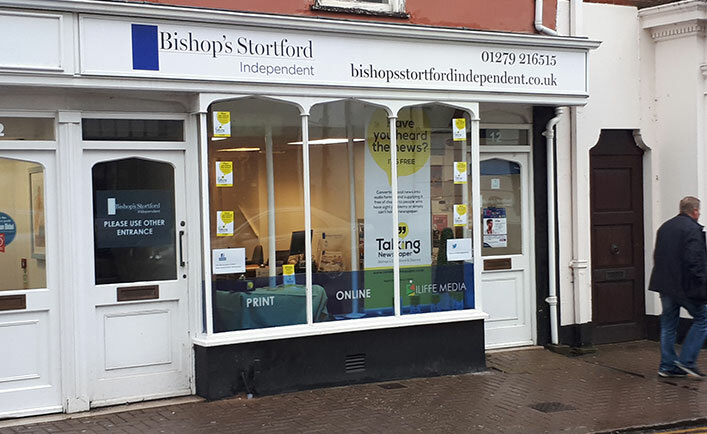 Local charity, The Bishop’s Stortford & District Talking Newspaper, have taken centre stage in the Bishop’s Stortford Independent Newspaper window this week showing off their newly designed logo, refreshed branding and an example of the audio players they offer free of charge. 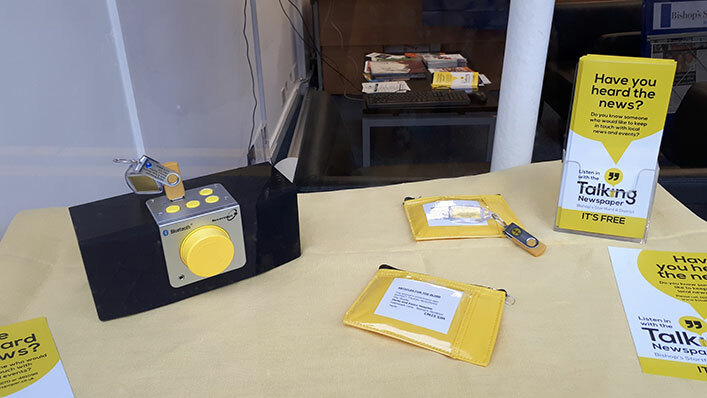 Simpsons Creative have been long-time supporters of this charity as it enables those with dexterity or severe sight issues to be able to keep up to date with local news in their own time and it brings a sense of inclusivity to the local area. With over one hundred listeners using the service, the charity is continually growing in popularity. The team of volunteers at The Talking Newspaper were looking to update their logo, literature, website and a new pull-up banner stand. Simpsons were able to assist with full marketing support and enable the talking newspaper to develop their overall branding and reflect the modern way in which the service is provided. 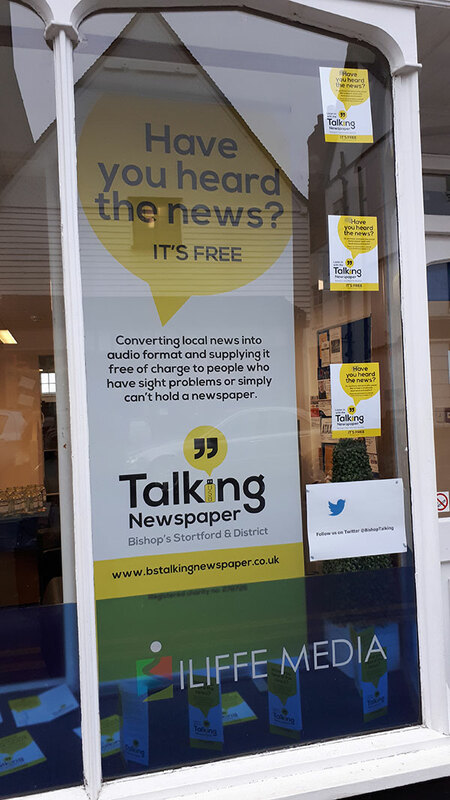 Simpsons Creative would like to thank the volunteers at The Talking Newspaper for their input with this project and we look forward to seeing their branding whilst out and about in the area.